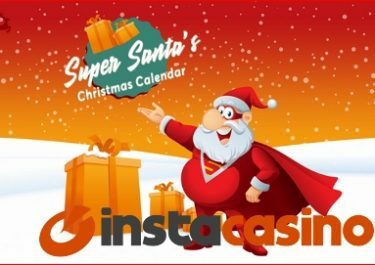 InstaCasino – Xmas Shopping Spree! 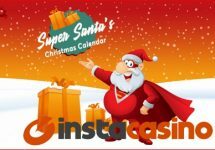 Last four days to qualify for a share of €3,000 Christmas cash! Do not miss the opportunity to bag yourself a great amount of cash for your Christmas shopping. Only four days time left to race to the top of the InstaCasino leader board tournament as the TOP50 scorers will share the prize pool with cash prizes and Super Spins. 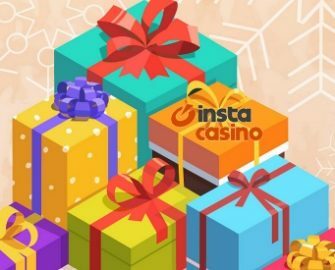 Simply, join the Insta Christmas Shopping Spree, put your feet up and play your favorite video slots and you could be a winner. Receive points for every spin and make your way up on the leader board. The bigger the bet, the more points you get. Grab some cash and Super Spins in this year’s Insta Christmas Shopping Spree campaign, running until 22nd November 2017. Just in time to collect the dosh for that endless Christmas gift list. Play any slot to earn points and race into the TOP50 of the leader board to get a share of €3,000 in cash and Super Spins prizes.